UPSC ESE 2018 Exam notification has been released online on the official UPSC website. Applications are invited from the aspirants of UPSC Engineering Services Exam (ESE) 2018 in an online mode only. 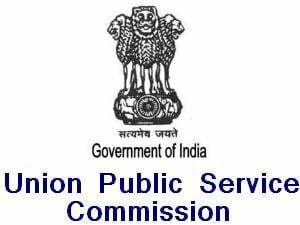 Candidates aiming to appear for the UPSC Engineering Services Exam (ESE) 2018 are notified to check the official notification as released by the Commission on its official website portal of upsc.gov.in online. The last date to apply online for the UPSC ESE 2018 Exam is October 23, 2017. Click on the apply link of the UPSC ESE 2018 Exam available on the home page of the portal. Register online and a login ID and password shall be generated which shall be sent to the candidate via mail and SMS both on the registered e-mail ID and phone number online. 4. Then need to re-log in with the same data and fill in the personal, academic details along with uploading photograph & signatures in the scanned form in the online application form for the UPSC ESE 2018 Exam. 5. Aspirants shall have to submit a nominal application fee online for the UPSC ESE 2018 Exam application form. 6. Also, female candidates and aspirants belonging to the SC/ST/PwD category are exempted from paying the UPSC ESE 2018 Exam application form fee online. The number of vacancies to be filled are approximately 588 including 18 PH(LDCP‐15 & HI‐03) vacancies. The number of vacancies is liable to alteration. The applicant should possess a degree in Engineering from a recognized University or Institute by the Government of India. The candidates who have attained M.sc degree with Electronics, Wireless Communications and Radio Physics as a special subject can apply for certain posts.